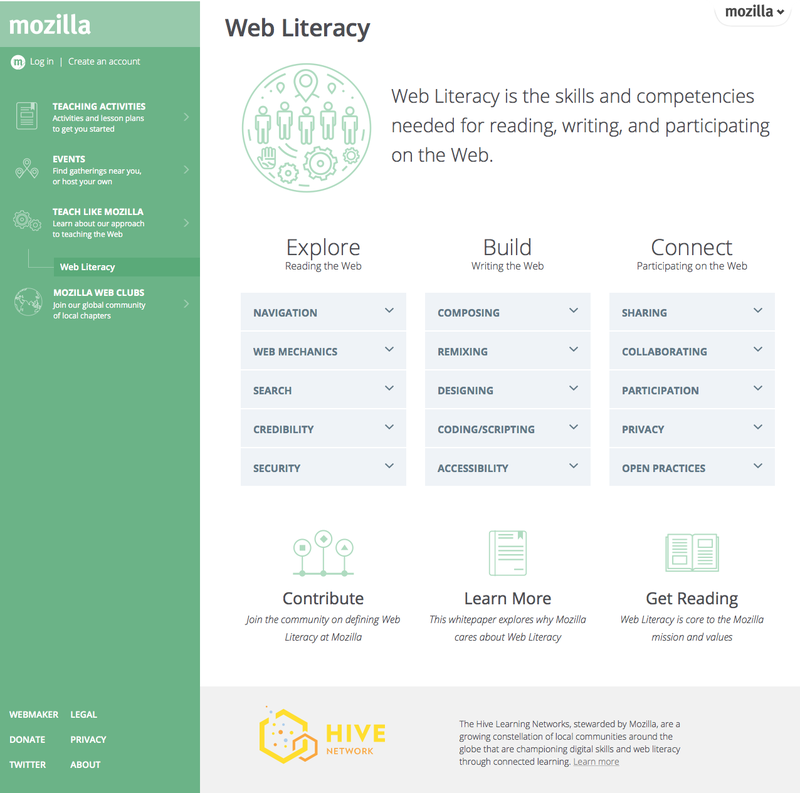 Mozilla has soft-launched teach.mozilla.org. This provides a new home for the Web Literacy Map, which now stands at v1.5. While I’m a bit sad at the lack of colour compared to the previous version, at least it’s live and underpinning the ‘Teach Like Mozilla’ work!